The skies are beginning to show some light in the Winter Park, Colorado, village. In the foreground, a small, quiet and perfectly still pond offers reflections of the shops and condos that rise behind it. 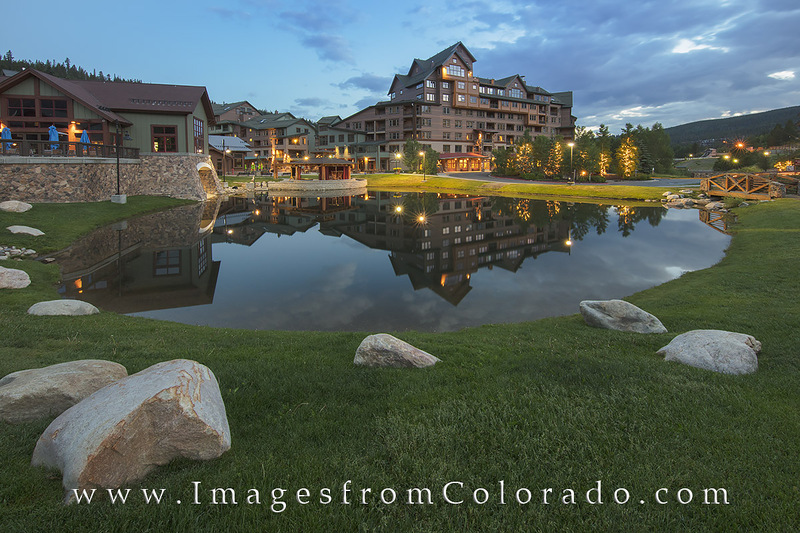 This ski resort just west of Denver will soon be filled with tourists looking for food and entertainment on this summer morning, but at the moment this image was taken, it was quiet, peaceful, and ready to be explored. Photo © copyright by Rob Greebon.